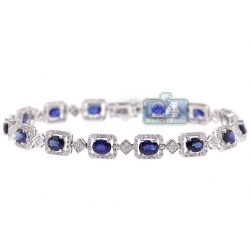 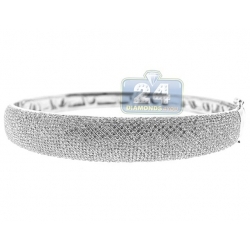 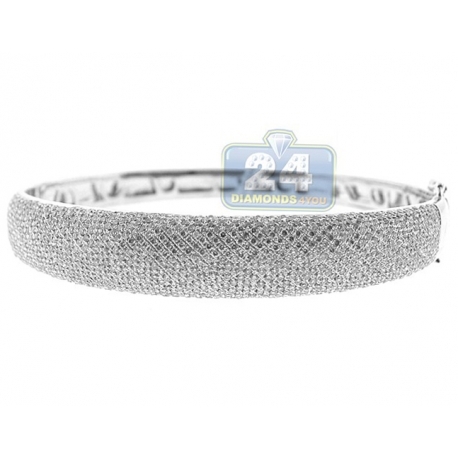 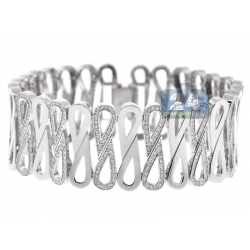 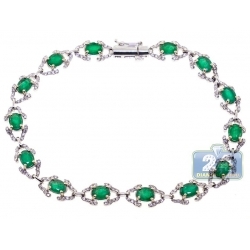 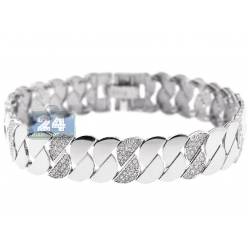 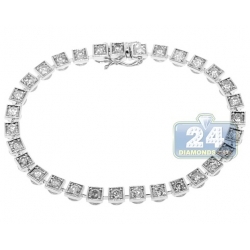 Make a timeless statement wearing this diamond bangle bracelet! 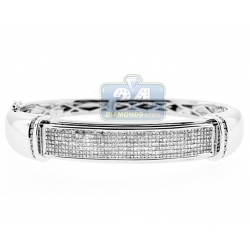 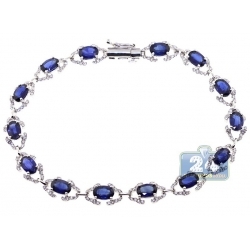 Professionally crafted in cool 14 karat white gold, it's polished for ultra smooth feel. 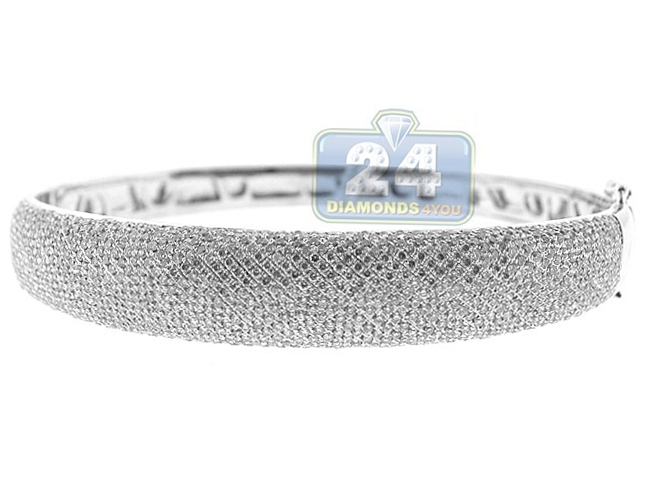 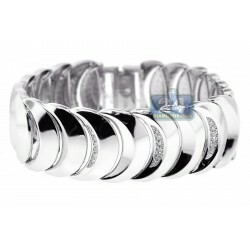 Our women's bangle bracelet is studded with icy white round brilliant-cut natural diamonds, all totaling 5.40 carats. 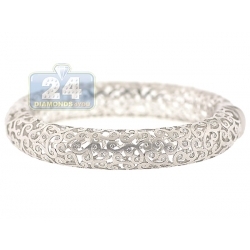 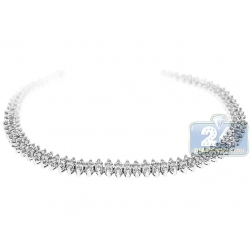 It also has inner length of 7 inches, and its width varies from 9 to 12 mm. 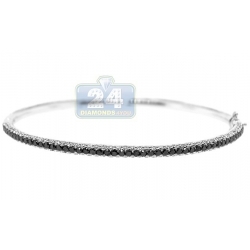 Classic design of this diamond bangle is sure to grab everyone's attention!